Meet Your Class Year Ambassadors! Two great events. One convenient venue. 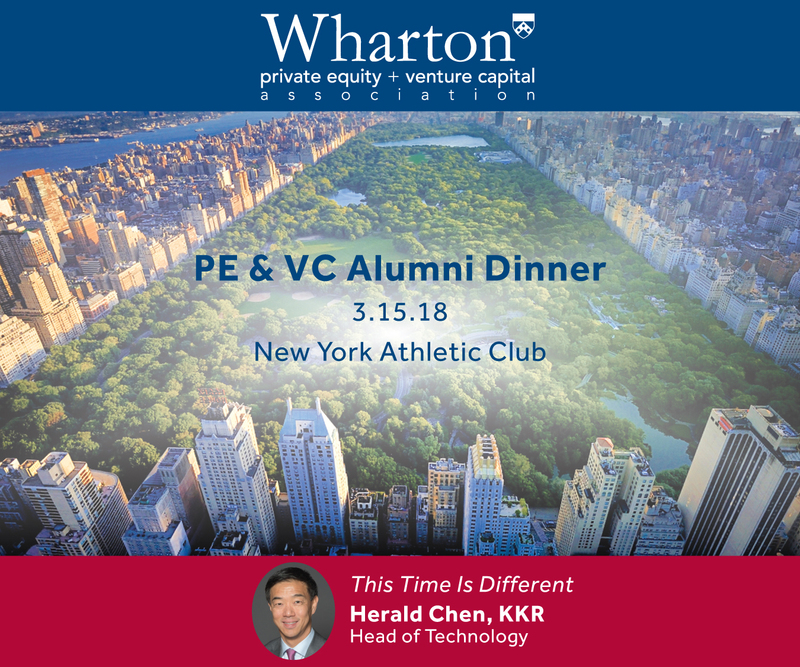 Membership Eligibility: WPEVC is open to PE and VC investment professionals investing third party capital from committed funds AND who are graduates of Wharton or UPenn. Private equity professionals include those investing venture, growth, mezzanine, buyouts, private debt, or secondaries from a dedicated fund or institutional limited partners of funds and professionals who manage third party fund-of-funds targeting the private equity space. Funds must be closed at the time your application is submitted. Hotel Accommodations: A room block is available at the New York Athletic Club for $235. Call 212-767-7135 or email reservation@nyac.org and ask for the "Wharton Alumni Dinner" rate. Limited rooms available. Dress Code: A jacket and collared shirt are required for men, and a jacket and tie are preferred. Women should dress with equal formality. Cancellation Policy: Cancellations for the Annual Dinner must be received via email to jsimons@wpevc.org by 9 PM EST on Monday, March 5, 2018 in order to receive a refund. Substitutions are welcome in advance or at the door.